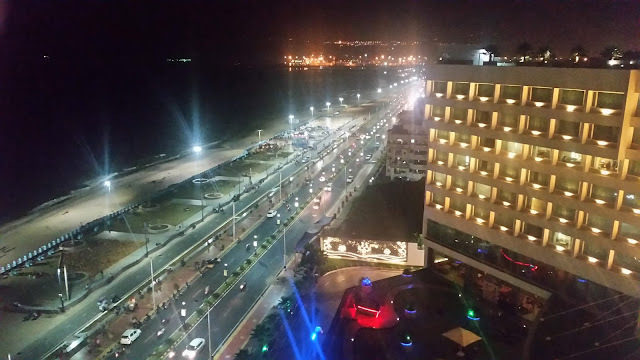 Mekong at Marigold Hotel is definitely one of the best Pan-Asian restaurants in Hyderabad. Their variety of sushis, dim sums, and star dishes like Massaman Curry and Khau Suey have always been among my favourites and I closely follow the new developments in this restaurant. 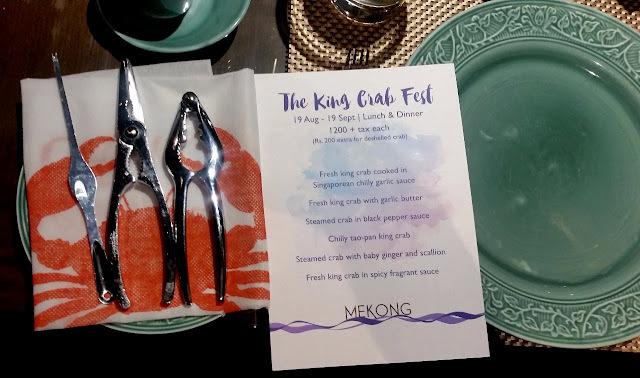 (Read: The Delicious Pan-Asian Spread at Mekong) The latest buzz in the city is about the new additions in the menu showcasing different Oriental preparations of crabs. 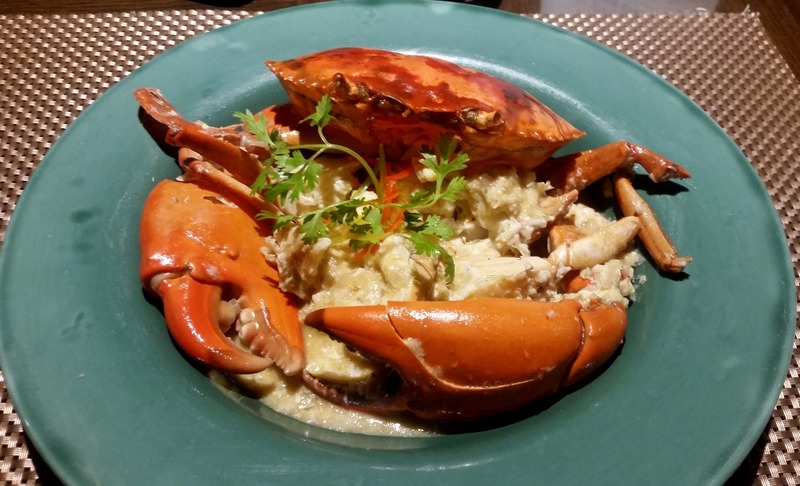 You can choose any of the six gourmet dishes of crab from the menu at a flat pricing of Rs 1200 (plus taxes). 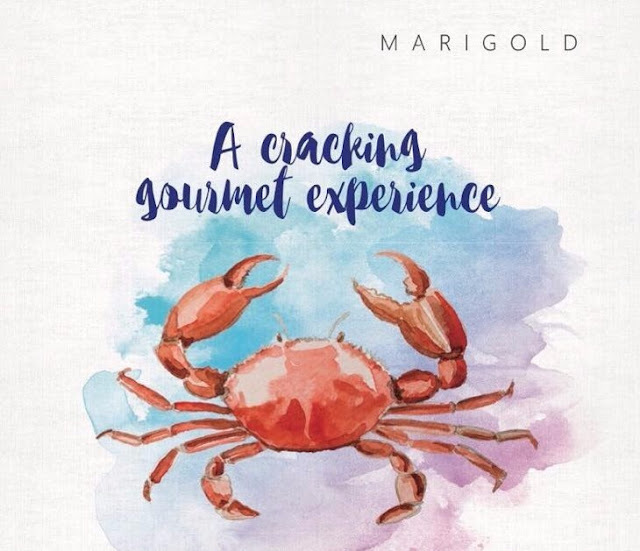 Corporate Chef Taraknath Mukherjee who looks after all the Asian restaurants of the group including Ohm at Avasa and Mekong at Green Park Vizag has curated six of his favourite recipes of crab exclusively for adding to the menu. At a preview of the crab fest, three of us were asked to choose one dish each from the special menu. 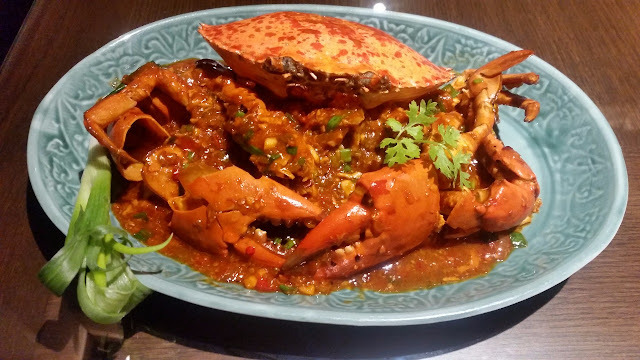 I am a lover of spicy food, so went for the Fresh King Crab in Spicy Fragrant Sauce. A large whole crab in a red coloured gravy was served. The sauce here was mainly the Chinese Sichuan sauce with tomato, red chillies, celery leaves, Sichuan pepper corn and Chinese wine. It was tough negotiating the claws even with crab crackers and cutters, but that did not restrict us from finishing the dish which was finger licking good. The second dish Fresh King Crab with Garlic Butter provided a difference in taste. The butter garlic white sauce was spiked with dry Chinese wine. The creamy crab meat meshed in well in the thick butter and garlic sauce which had cheese apart from salted egg yolk and oil. Finally, it was King Crab cooked in Singaporean Chilli Garlic Sauce. The Singaporean sauce with shrimp paste and Malay sambal in it was sweet, spicy and slightly salty. The crab shells here were softer allowing us to delve much deeper into it. The meat was perfectly cooked absorbing the various flavours like tomato, chillies, ground peanuts and oyster sauce. I asked for some fried rice to go with the crab. 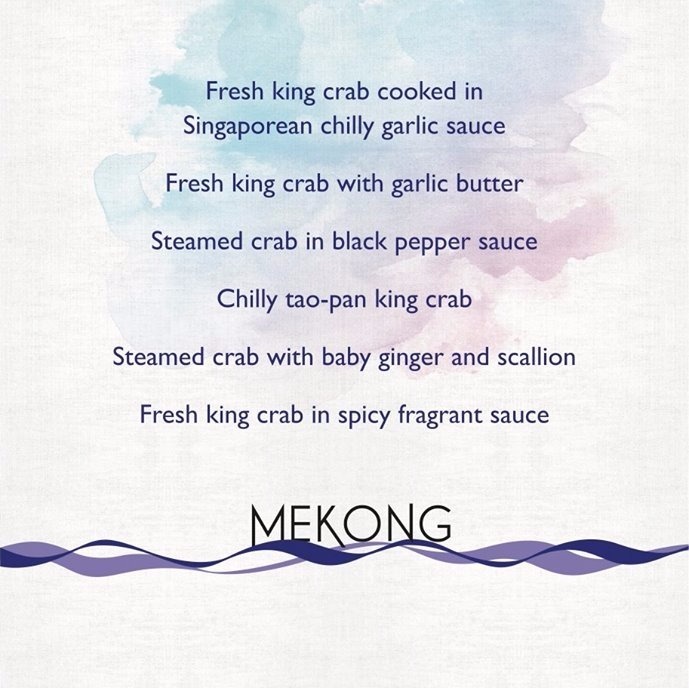 The other preparations of crab available are Steamed Crab in Black Pepper Sauce and Steamed Crab with Baby Ginger and Scallion. 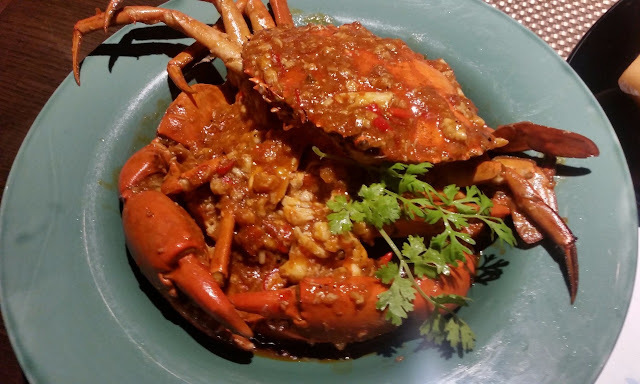 One that caught my attention was Chilli Tao-Pan King Crab which has a gravy of fermented chilli beans. The crab items are available for both lunch and dinner. While gorging on their crabs do not forget to try out sushis, as well as their Wasabi and Jaggery ice creams.